Generally speaking nexGen Grafix can accept files from all modern page layout software. Adobe Creative Cloud applications are all supported, as is QuarkXPress (saved back to version 9). For these applications please use the “Package” or “Collect for Output” feature to ensure that all fonts and links are included. PDF files are certainly acceptable, assuming that some basic rules are followed: files should include 0.125” bleeds on all edges, crop marks should be turned on (with 0.125” offset), and output should be set for single pages, not spreads. Note that we can use Adobe Acrobat to modify PDF files in some basic ways, but editing of paragraphs of text is usually not possible, so that if you do need changes made, it will generally be your responsibility to provide an updated file, set up in exactly the same way as the original. Files can be submitted on disk, USB drive, via email, or using our FTP server. Of course any other online transfer method is also agreeable. It is important to establish beforehand how your job is to be printed. Your nexGen sales representative can help you with this. Is the project to be printed digitally? In that case your files should consist strictly of CMYK colours (in your page layout file as well as any supporting links). Spot colours should only be included if the NexPress is to be used to match them as accurately as possible by employing Red/Green/Blue 5th colour options. Check the Swatches palette or Ink Manager in InDesign/Illustrator to determine whether any objects in your file contain spot colours, and modify the file if necessary. Is your job being printed on an offset press? Then it will depend on the content of your project whether spot colours are to be used, with or without CMYK process colours. Again, your sales representative can help you to determine this. It is much easier to consult beforehand than to modify files after the fact. Implementation guides are available for NexPress gold and dimensional clear inks. These effects require some special consideration to be printed correctly. Download the NexPress gold guide here, or download the dimensional clear ink guide here. Different binding methods require different page layouts in your files. 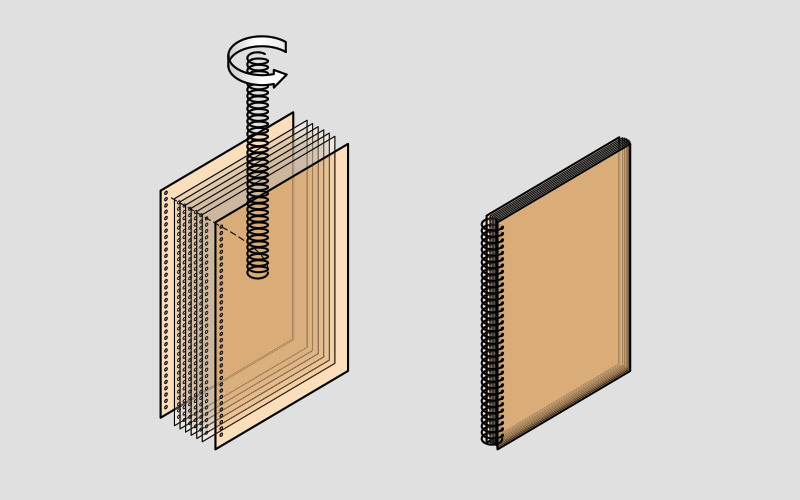 Saddle stitched (stapled) or perfect bound (paperback) books can be laid out as spreads so that you will see things in your file the way they will turn out in the finished product. But the spreads should consist of two individual pages side-by-side, not a single double-wide page. 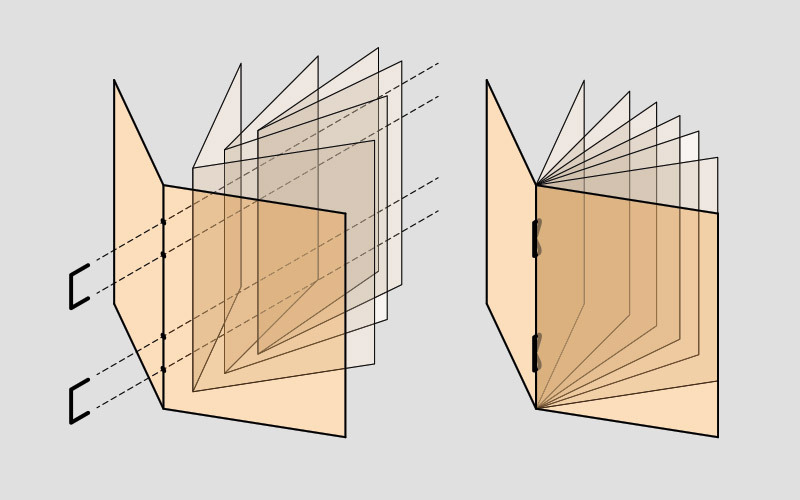 Since these types of books will be folded before binding, they require bleeds only around the outside edges of a spread. Plasticoil or wirobind books should be laid out as single pages. Even though these types of books will be bound at the spine, they consist of single sheets that need to be trimmed before binding, and so they require bleeds on all four sides. This also applies to cornerstitched documents.